One of the most annoying thing in Windows 7 is the inability to remove msn from the taskbar and minimize it to the System Tray. However there is an easy way around it, with several simple steps. 1- Exit Live Messenger entirely. 2- Right click your Live Messenger Shortcut and choose Properties. 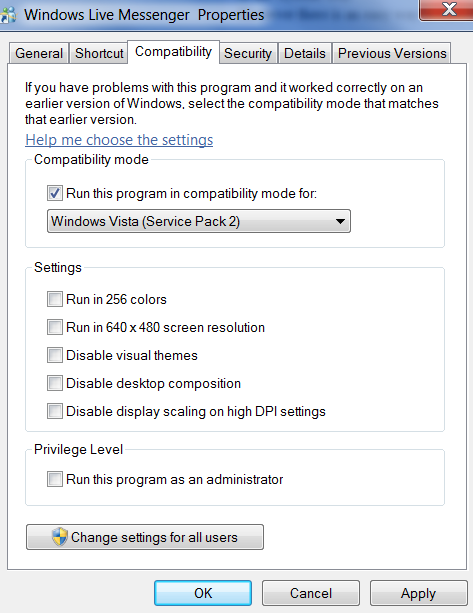 3- Go to Compatibility Tab. 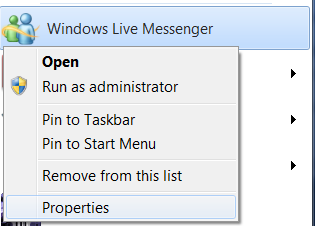 7- Open your Live Messenger and when you click on the close button, it will be minimize to the system tray. Any questions, comments or suggestions, please post below!